The Ruffwear Float Coat is a great choice for water-loving dogs, but it’s a little pricier than other dog life jackets. Here’s my review. My dog, Banjo, has been in the water a handful of times. She likes to lie in the river on hot days when we’re running, and this summer we helped Banjo swim in the Long Island Sound for the first time. The more we take her to the water, the more I want to involve her in my aquatic pastimes. But I also know that it’s dangerous to take a dog away from the shore without a dog life vest. Recently, we took Banjo to a water sports rental company on the river and fitted her with a Ruffwear Float Coat flotation device. And then we took her kayaking and on the paddleboard for the first time. Banjo’s not a small dog. She’s a lean 65 pounds with that Boxer barrel-chest. Typically, when I’m buying apparel for her, I buy a large. The large Ruffwear Float Coat was a bit too roomy, though, and she ended up with a perfect fit in the medium. We were fortunate to be able to try the Ruffwear Float Coat on Banjo. I am notoriously bad about actually measuring Banjo before buying collars, clothes or accessories, so we would have certainly ordered a size too large. You’ll want a Ruffwear Float Coat that fits comfortably and correctly, so take the time to measure your dog’s chest and select the correct size. The last thing you want is for your dog to slip out of an oversized life jacket their first time in the water. Banjo spent her day swimming between our kayak and our paddleboard. Banjo isn’t what I’d call a natural-born swimmer. We began our trip on the river with Banjo perched at the front of my paddleboard. After spotting Ivan in a kayak about 5 feet from us, Banjo decided to make a graceless flop into the water to get to him. After that, she switched back and forth between us for the next hour. 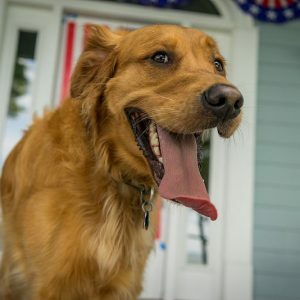 At the end of our fun, she was wet but happy, and her anxiety at the beginning of the trip had faded, leaving her stubby tail wagging confidently. The Float Coat has 2 adjustable straps under the chest to cinch it tight so that it won’t slip off. The neck portion has an adjustable strap, but no buckle. 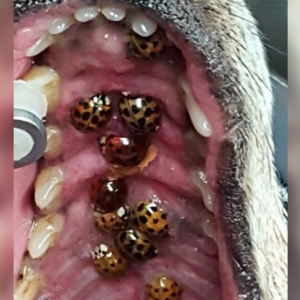 It just slips over your dog’s head. The placement of the adjustable straps makes the coat fit snugly but still allows ample movement so your dog can swim freely while wearing the Ruffwear Float Coat. Foam pads positioned throughout the life vest ensure your dog will remain floating even if they tire from swimming. And if they do a little backflip jumping into the water, the Ruffwear Float Coat will right their position once they’re submerged — you don’t have to worry about your dog floating upside down. With each new product, I’ve gotten used to the convenient features Ruffwear adds to its gear. The Ruffwear Float Coat has a durable handle on the back you can use to rescue your dog, guide them or hold them close. 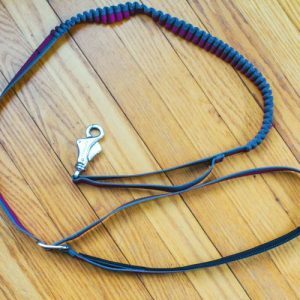 There is also a small loop behind the handle where you can attach a safety light (like the type you might attach to your dog’s collar for nighttime walks). And beneath the handle is a ring to attach your dog’s leash. The buckles are extremely strong. Even when wet, the straps stay tight despite Banjo’s constant movement. 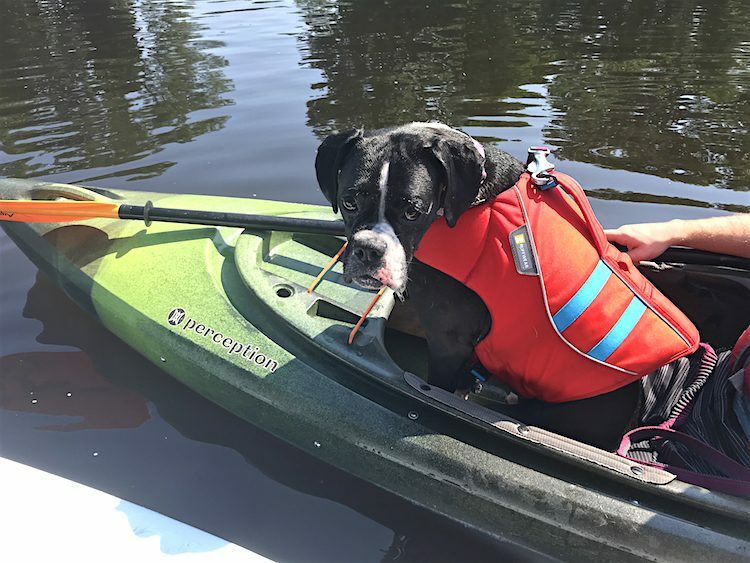 We pulled Banjo up onto the kayak and paddleboard multiple times — dragging the life jacket against the edges of the heavy equipment — but the Ruffwear Float Coat’s heavy webbing material didn’t snag or show any sign of wear. The Ruffwear Float Coat includes a handle, a light attachment loop and foam pads that help keep your dog right side up in the water. Not everyone needs a dog life jacket. If your dog visits the beach with you but doesn’t go swimming, it’s probably not worth paying for a safety device. But if your dog regularly goes swimming, you should have a dog life jacket. For anyone whose pup is a water fanatic, I’d highly recommend the Ruffwear Float Coat. It’s an excellent product that could save your dog’s life. 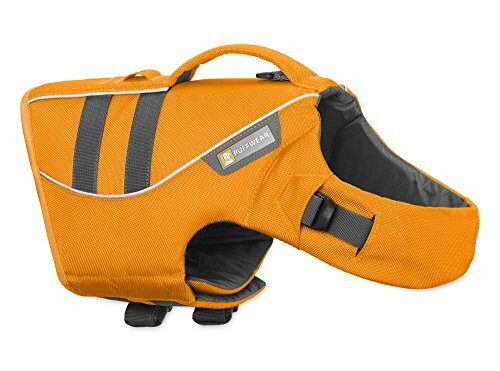 However, if you’re looking for a life jacket for a one-time water outing, the Ruffwear Float Coat is definitely on the costly side. At almost $80, it might not be worth the investment for just 1–2 trips. 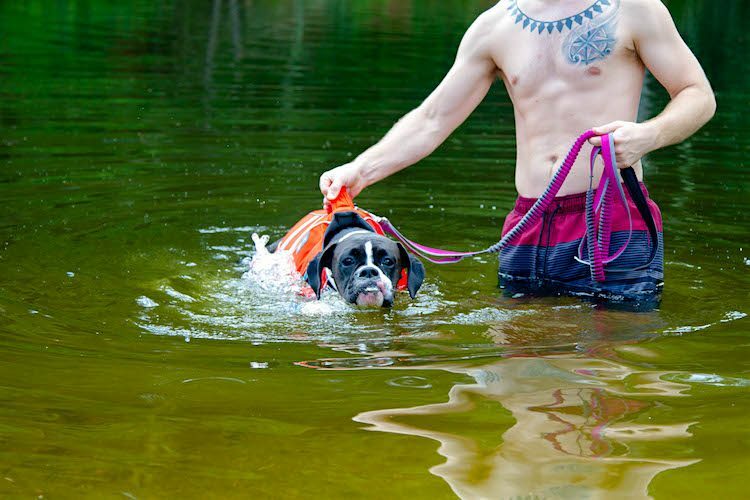 You should still equip your pup with a dog life jacket, but consider a less expensive one. 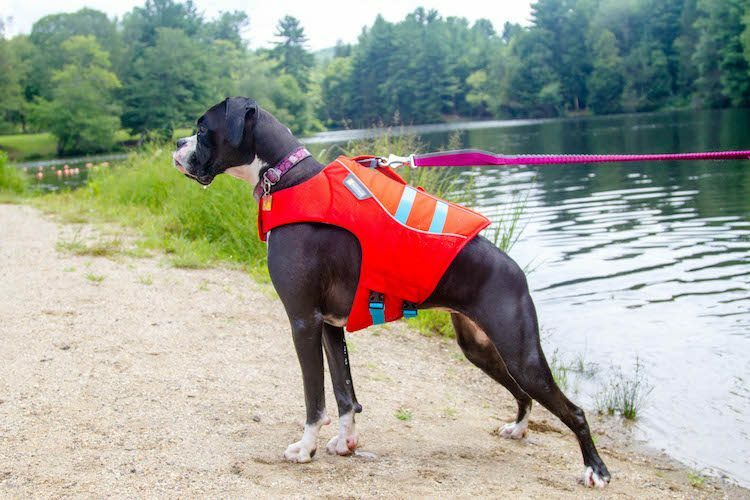 A cheaper dog life jacket may not hold up as well as the Ruffwear Float Coat to constant use, but for just a couple of outings, the cheaper option could be your best bet.